Okay, let’s be honest here. I am not a fan of the majority things Marvel has been doing lately, but I was pleasantly surprised by this trailer. Let’s analyse the good, the bad and the Marvel. I see Marvel is trying to make both fans happy. 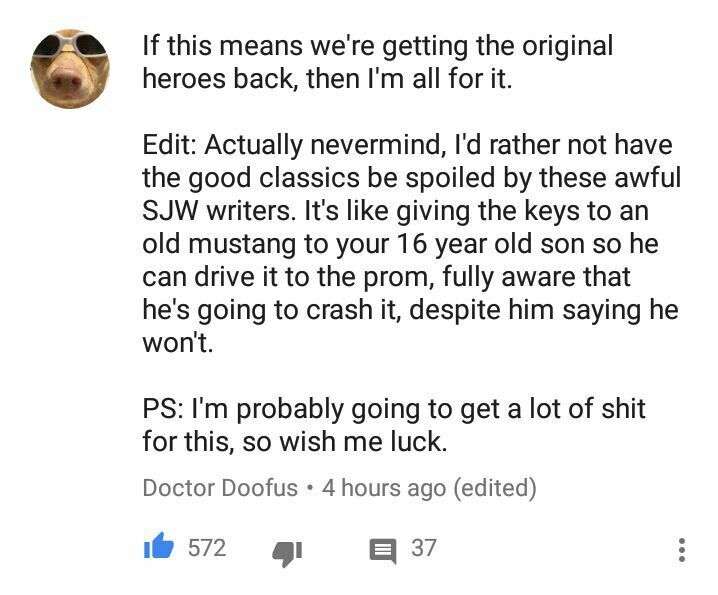 The long time readers who love their classics and the ones who prefer the newer heroes (the 5 of you). They wanna fix their faults, which is something I gotta appreciate even if it’s at least coming from their mouths. What do you mean by “Can there be 2?”. Sam Wilson and Steve Rogers always coexisted together as Captain America & Falcon. Jane Foster and Thor always coexisted. Laura and Logan again, always coexisted. They coexisted because they were characters that worked. Jane was always a supporting character until she became Thor which at first was a warm, exciting and mysterious welcome, but then quickly lost its magic. 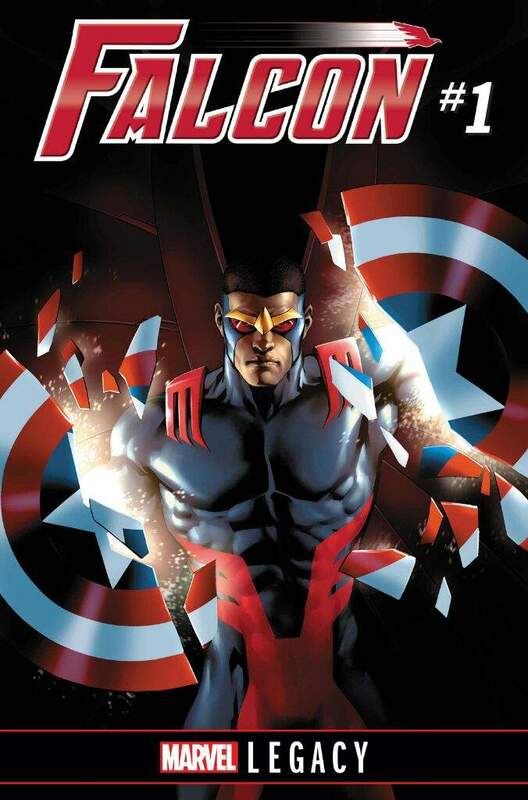 Sam Wilson was a character who had his own identity and worked very well with Captain America. Sure, Amadeus Cho and Bruce Banner didn’t share many stories, but if we look at the previous examples it’s doable. What do I mean? If we let these characters be themselves, they will most likely work. If we move aside the “just for the sake of diversity” argument, putting characters into roles they weren’t meant for isn’t how it should be done. Sure, do something unexpected, change up the status quos, but stay true to the fans and characters when going about it. Am I saying Jane should have never been Thor? No. Just maybe you should’ve shortened her hero span. I like her stories, but she is the negative for me and partly, I feel like that is also because we don’t know what to do with her anymore since she was always a side character. Can we make Ganke take on Miles Morales’ Spider-Man suit? Is it just me or is this what Axel Alonso said about describing Marvel Legacy? Back in April he said that “we will answer a question everyone has been asking us for a long time” (paraphrase). Please don’t tell me this is going to be the exciting thing about Legacy. I mean sure, it is a nice idea, but we’re all expecting a huge plot reveal. I hope there is one. Make it more than just a change up on the face, but not on the inside. Show us you are really doing something. So we are bringing back the old characters? 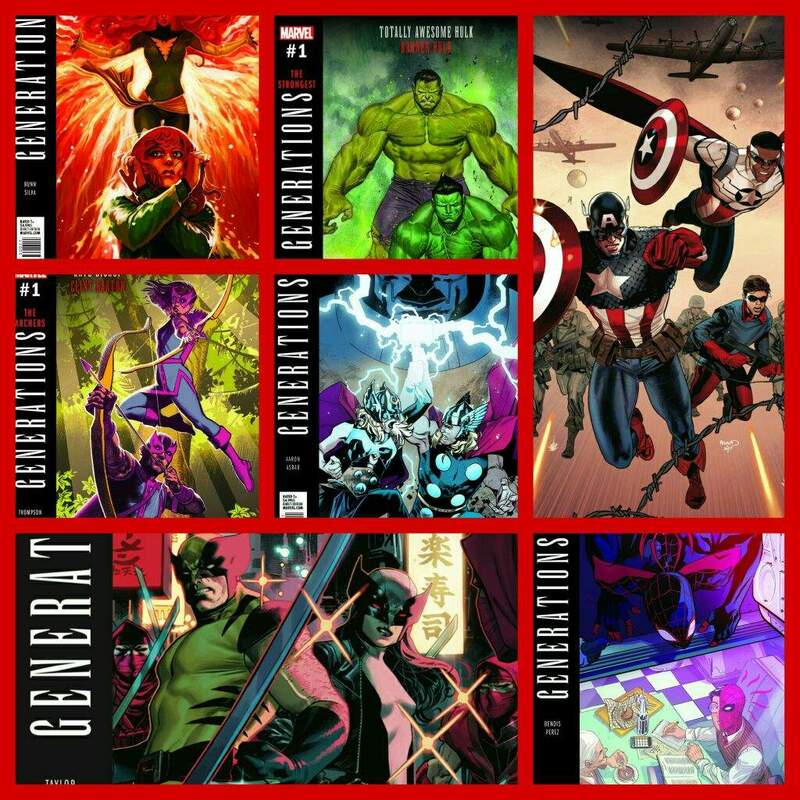 So far Generations looks like it will only introduce the classic versions from the past, but Marvel makes it seem like it will be more and longer lasting than that. Maybe they will use the past classics to give us modern classics? Okay, I am reaching too hard. Trying to be optimistic for Marvel and I don’t think it’s working. I hate when comic book publishers do it. They spoil things for you before you can enjoy them for yourself. We now know how Secret Empire is going to end. This happened with Secret Wars (2015) and Civil War II. DC is also guilty of this when they had the Trinity War lead into Forever Evil. Not cool. Enough with this silly practice. I once heard a smart quote: “If you try to please everyone, you end up pleasing no one.” Pretty much what came to my head. Is there a way Marvel can balance this? And can we finally get newer less <censored> writers? And bring back good titles that were cancelled? And can we-? Okay, not going on this tangent again. But will they break the internet??? Just kidding! 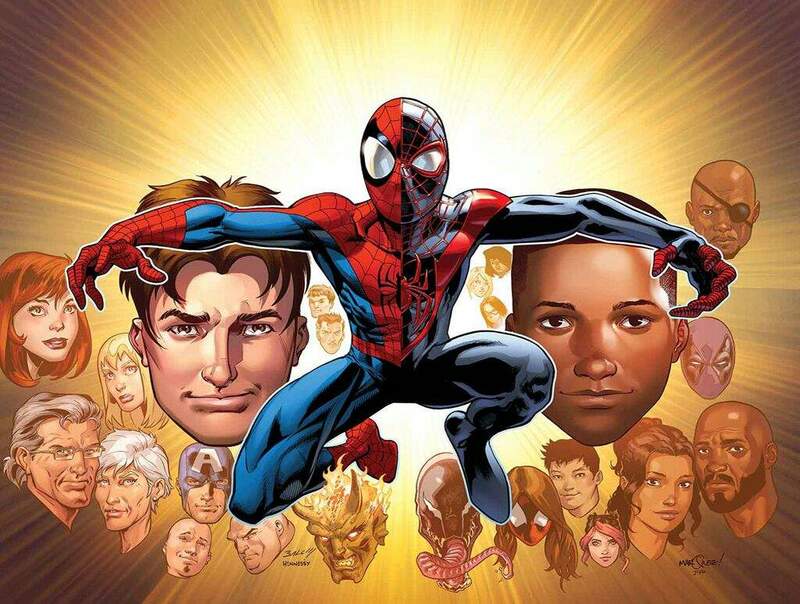 So it seems Marvel has a plan for all of these heroes which sounds good. 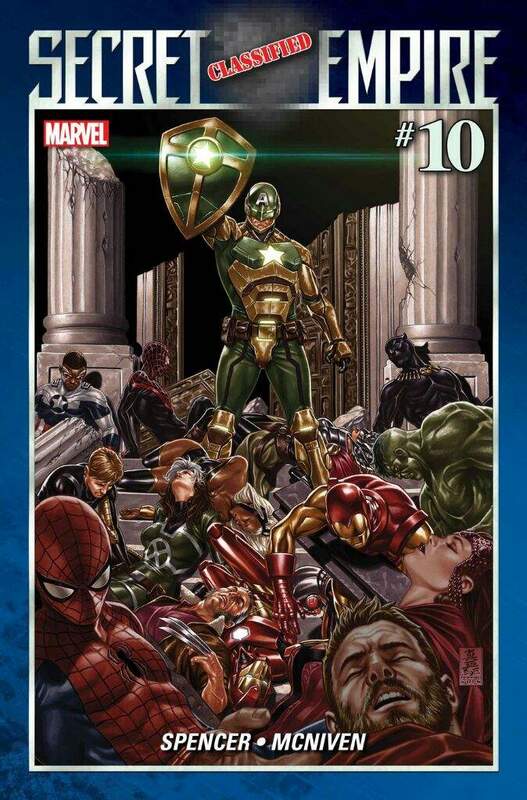 Given how this is Marvel and their promises mean little now, I am still very hesitant. 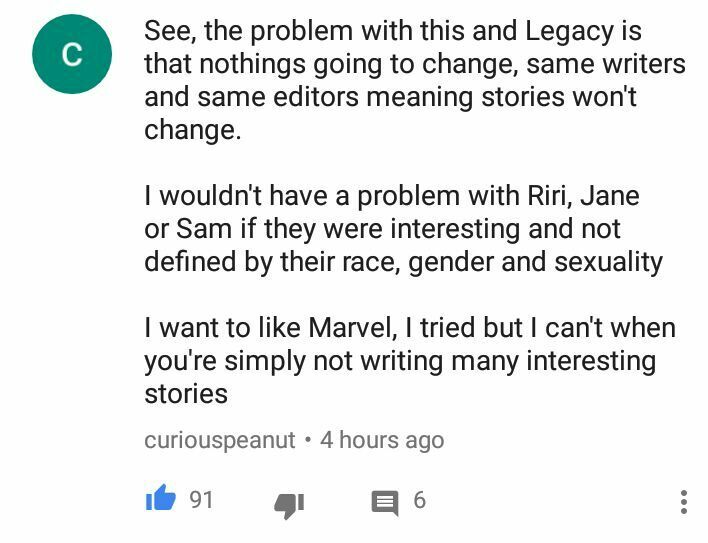 I am gonna wait until Marvel Legacy to judge them as a whole and fairly. I am so hesitant that the emotional music makes me annoyed instead of amused. 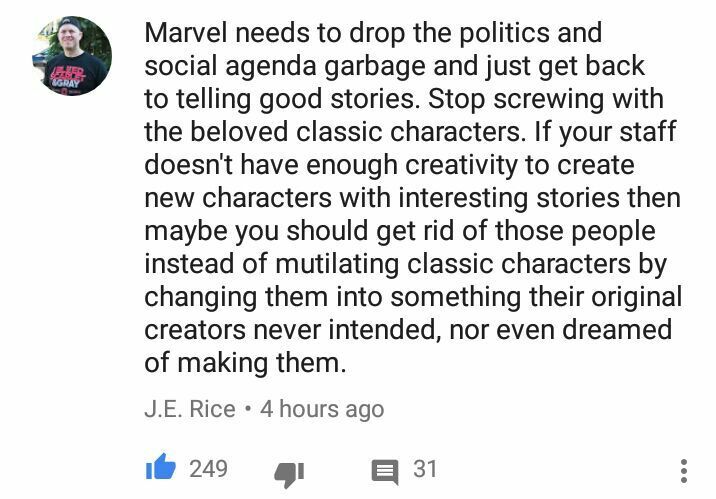 This goes out to Brian Michael Bendis’s Iron Men titles, Dan Slott’s Spider-Man, Mark Waid’s Avengers, I dare say G. Willow Wilson’s Ms. Marvel. Give them a break. We already know Nick Spencer is leaving Sam Wilson so if this continues we can work out something. My exact thought, then I read his edit. I began wondering if we should really bring back the classics. This further goes to show we need a big creative team shake up. C’mon, Marvel! You got this! “To the polls!”, “Holy mensturation.”, “[Unsolicited opinions about Isreal]”, *villain stops fighting a hero because she is also a girl*, *evil skull pirates don’t kill women because they are progressive feminists*. I can bring up more examples as to why I agree with this comment. Continue on making fun, original stories, but also calm down with going overboard. I get it. Art wants to be expressive, then let the art itself do the talking and not the writer who I can hear talking through the comic. Marvel didn’t reveal anything particularly new, but the video did drive the point of what they are doing. When talking about Marvel’s future the heads there were providing bunch of quotes that even cancelled out each other. Now we know they wanna complete one another. Overall, still very hesitant and will not believe anything until I see it. Nothing else more I need to say on the matter. Thanks for reading my thoughts, Olaf out!